We are the official exclusive distributor and reseller for Ztylus products in Singapore. All our Ztylus products come with 1 year official Ztylus manufacturer warranty. The Ztylus revolver m series lens kit brings a brand new generation of innovation to your phone. We worked tirelessly with our engineering team to bring out an improved user experience based our genius classic design. With a newly designed magnetic connection, installing and removing the lens is easier than ever! Thanks to our award winning dual lens technology, we can add various high quality lenses to your dual lens phone. We proudly won the 2018 ces innovation award for our unique patent pending dual lens structure. Our Ztylus revolver m series lens kit comes with a durable phone case to provide all around protection for your phone. The rubberized frame has tactile buttons and gives full access to the ports, mic, and speaker with precise cutouts. 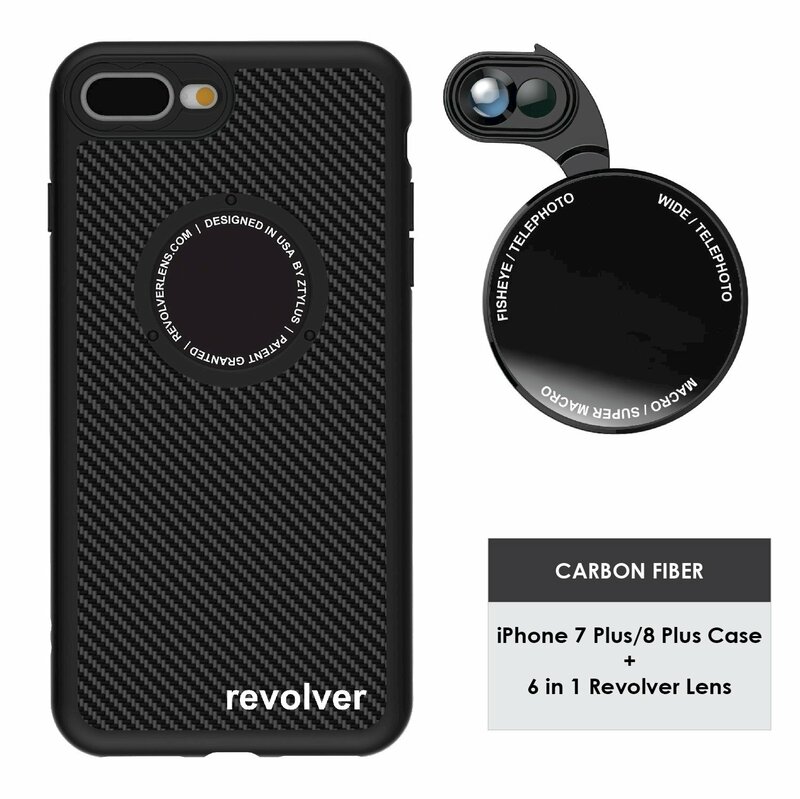 The Ztylus m series revolver lens features a magnetic attachment so you can quickly add different accessories to your phone. Add more functionality to your phone with our Ztylus case. The embedded metal plate allows for quick attachment of accessories. We are developing more and more accessories to expand your phone's capabilities. Say goodbye to lens caps, since the lenses are fully protected when they’re not in use. With our quickflip technology, the lenses flip out and automatically align with your phone's lenses. You never have to worry about missing the moment, since you can attach and change lenses in seconds. All it takes is a quick flip and the lenses are ready to go! Get powerful optics with the thin and lightweight Ztylus revolver m series lens. The Ztylus revolver m series lens now comes in two different versions that offer 4 to 6 lenses. The dual optics design is fully compatible with phones with dual cameras. Get a variety of lenses in a package that is about the size of an oreo. Note: When in use, the flash of your iPhone will be blocked. - Wide angle lens: 50% additional wide view. - Fisheye lens: 160 degree fisheye view. - Telephoto lens: 2x focal length to bring object closer for more visual impact. -Close up lens: close up filter (10x) reduces focusing distance to reveal subtle details. Attain 50% more wider field of view of the like of a 21mm wide angle lens and works seamlessly with camera in photo, video, slo-mo and time-lapse mode. Produces stunning results when taking pictures and video of majestic landscape, group photography or individual picture capturing with more background details. With the fisheye (0.35x) lens, you can capture a variety of shots that you couldn't achieve previously with your phone. The fisheye lens will give a whacky 160 degree close-to-circle view for unusual perspectives. Close up lens is used to reduce the focusing distance so that fine subtle details can be captured instantly in high definition. It also creates a shallow depth of field for the subject to stand out from the background. Telephoto lens is used to compress perspective and brings far away objects much closer for more visual impact. Telephoto lens is great for landscape as well as for street portraiture to zoom in to your subject without making your presence felt.